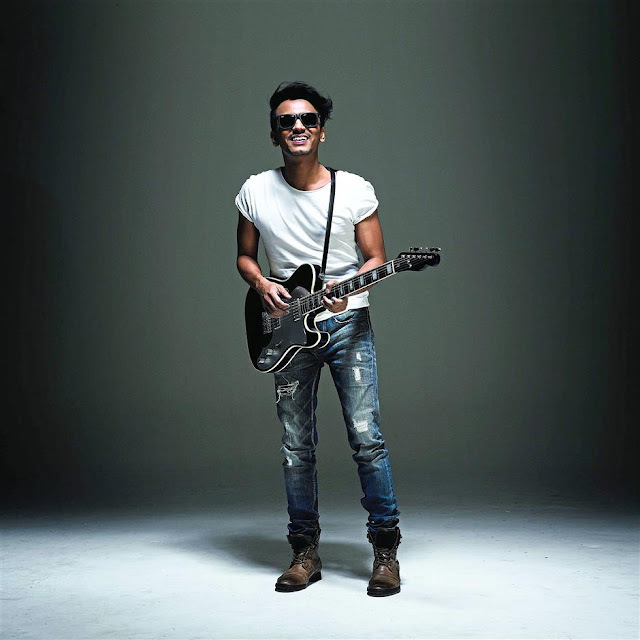 Singer-songwriter Faizal Tahir put a lot of thought into the design of his latest album cover Anatomi. “Who has a scientist jacket?” singer-songwriter Faizal Tahir says while laughing right after someone asked him to explain the meaning behind the cover of his latest album, Anatomi. The striking image features Faizal, 37, posing like the Vitruvian Man, with wings and surrounded by a number of items. He knows the media will question him on this issue. “If I’m going to explain everything, it’s going to take a long time,” he says during an interview in Kuala Lumpur. To put it simply, Faizal says the various elements on the cover represent the songs on the album as well as things that define him as a man. It ranges from his birth year (“The horse. It’s also my favourite animal.”) to his belief about duality (“Where there is shadow, there is also light.”) and of course, his favourite football club (“The wings represent the mythical Liverpool bird.”). The cover also reflects his admiration for women who sacrifice for their loved ones (“The lady with the veil is balancing a number of things on her head.”), patriotism (“The Malaysian flag reminds me that no matter where I go, this is home.”) and the rabbit head is the persona he takes on to entertain children. 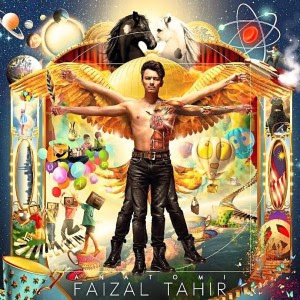 When Faizal unveiled the cover for Anatomi (his first studio album in three years) on his Instagram account, fans praised him for the daring move, while others had the opinion that he is courting controversy. “Ya, some people said I’m in the Illuminati, Freemason or whatever. Then, someone said I’ve become murtad (non-believer). Whatever people want to say, I welcome it,” he states. He is referring to the “Superman incident” in 2008, when Faizal infamously took off his shirt during a live performance on local television. He was later banned from performing on live TV for three months. When Faizal looks back at the incident that has marred his career, he still has one question about it. If anything, Faizal is not going to let one incident continue to define him. Since the release of his biggest hit Assalamualaikum, Faizal has succesfully changed public perception about him –from being the reckless rocker to a respected peace-loving singer-songwriter. Earlier this year, his heartfelt performance of Assalamualaikum on Anugerah Juara Lagu was lauded. He was praised for using his influence as an entertainer to spread the plight of the marginalised community to a wider audience. Faizal says it was a trip to a Palestinian refugee camp in Lebanon back in 2010 that changed the way he thinks of himself as a performer. “I saw so much suffering. People didn’t have proper food to eat and beds to sleep on. It was really bad. It came to my mind that I have nothing to complain about in life,” he says. That includes not giving too much thought to negative comments. “If you’re going to think about what people say about you, you get nowhere,” he offers. Instead, he focuses on inspiring positivity. This year he launched Faithmen, a charitable initiative to provide for those in need. Most recently, he raised funds for an orphanage in Aceh, Indonesia. But how does the father of six children and also the owner of music label Faithful Music (Elizabeth Tan and Harris Baba are signed to him), find time to do so many things? “The moment you don’t create any excuses, you get everything done. I have no complaints. I will rest when I die,” he replies.